I try not to be overly impressed by National Trust properties that have appeared on TV. 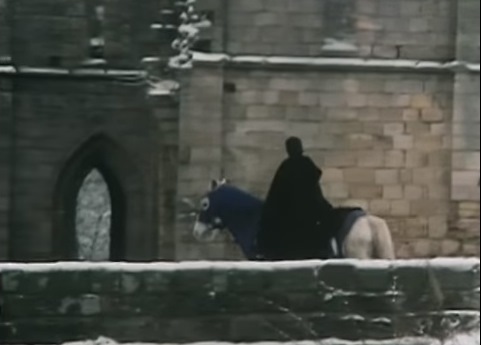 However, Fountains Abbey near Ripon was in the video for Maid of Orleans, the atmospheric 1981 electro-hit by Orchestral Manoeuvres in the Dark, which IS worth writing home about (although I'm not actually going to write home about it, as my parents wouldn't have the faintest idea what I was talking about). to qualify for more scones - it's the OMD video. In the video, Joan of Arc rides her behatted horse around the snow-covered ruins, until she is sadly murdered. I knew I was unlikely to see any snow - in fact, the sky was beautifully blue when we set off, so I was congratulating myself on some excellent scone scheduling. I checked my weather app later and it told me to expect cloud in York. Never mind, I thought, that means atmospheric pictures of the ruins. But the rain was tipping down when we reached Fountains Abbey - the only pictures are of me and the Scone Sidekick staggering around like drowned rats. Of course, the upside of visiting during a torrential downpour is that we were pretty much the only ones there. 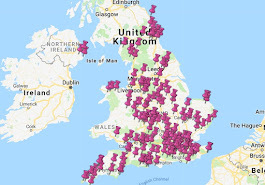 I imagine this is a rare treat - Fountains Abbey is the National Trust's 5th most popular property, with a staggering 373,364 visitors per year. 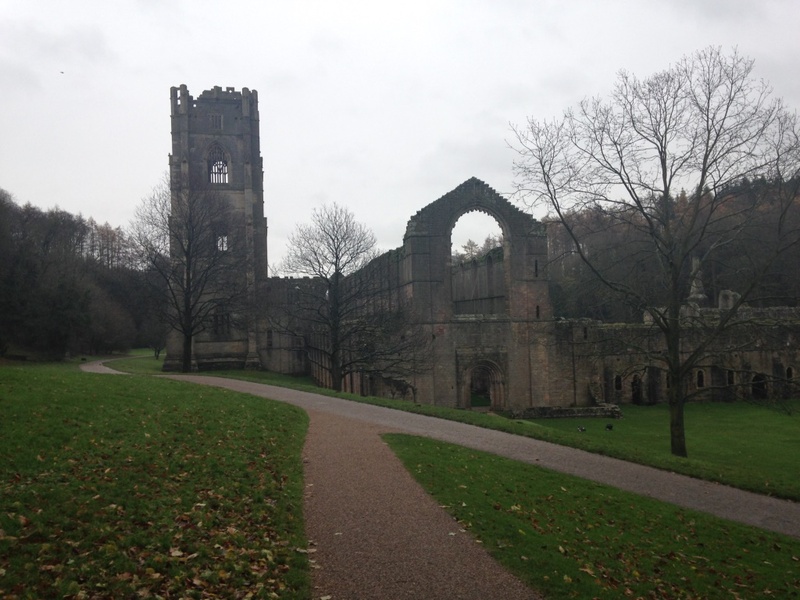 Fountains Abbey is AMAZING. It's huge and it leaves you astounded - firstly that anyone managed to build such a thing over 800 years ago, and secondly that so much of it is still there. There are plenty of other abbeys that were closed during the Dissolution and ended up being rebuilt as homes for bigwigs - Lacock Abbey for one. Fountains Abbey is very different - you don't need much imagination to picture what life was like for the monks who lived there. Poor old Fountains Abbey was under extreme pressure today. Every other NT property in Yorkshire that I've visited has scored top marks for its scones; Goddards and Beningbrough Hall both got five out of five in July, while Treasurer's House has a special place in the Scone Blogger's heart for its fabulous Christmas pudding scone. 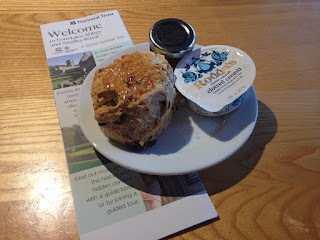 The fruit scone at Fountains Abbey looked extremely solid. It was almost too solid - I was a bit concerned about it, to be honest. But it turned out to be delicious - it was crisp on the outside and good and fluffy on the inside. I came very close to knocking off half a point for the hard and flaky Rodda's, but the scone held its own so I didn't. This means that Yorkshire holds on to its unblemished record. Nunnington Hall and co - it's all resting on you in 2016. I was also OVERJOYED to see that Fountains Abbey was selling Christmas scones. It was lovely - it tasted of festive spices and fruit and I enjoyed it very much. Fountains Hall was built between 1597-1604 by Stephen Proctor, who had bought the land near the abbey. The Hall was eventually acquired by the Vyner family in 1923, who often entertained the Duke and Duchess of York (who later became George VI and the Queen Mum). You'd think that I would have welcomed any opportunity to get indoors today, but I was scared that I'd get in the warm and never want to leave. At least I have a reason to go back. The other reason I'll have to go back is to see Studley Royal Water Garden. I just couldn't face trudging around looking at water features today, when my shoes were rapidly turning into water features of their own. This was a shame because the garden was made a World Heritage Site in 1986 and it sounds amazing - it was originally created by John Aislabie who started planning around 1718 when he owned the Hall. It has canals and all sorts in it, so I'll definitely return one day. Let me also tell you now that I am not easily defeated by rain - I am half Irish for one thing and I was also in possession of a newly purchased National Trust umbrella (£8). But when we pulled up in the car park at Brimham the rain was so heavy that the Scone Sidekick literally opened his car door, said the single word "no", and shut it again. I eventually persuaded him to venture out for a look (I was helped quite a lot in this by his bladder) and we squelched along the path. Then he just refused to go any further, like a horse at Becher's Brook, and so we returned to the car and gave up. I had also (ambitiously) been hoping to fit in a trip to Treasurer's House for its world famous (according to me) Christmas pudding scone. But the Sidekick had started talking about pneumonia and so I reluctantly decided to cut my losses and take him to the pub, where he cheered up enormously. 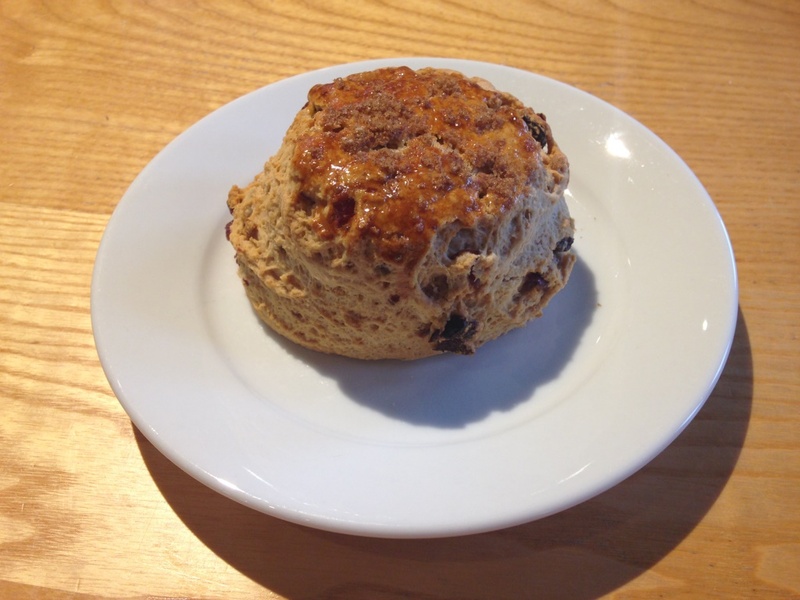 It broke my heart to be within two miles of the Christmas pudding scone, but the Sidekick had to come first. My weather app: 0 out of 5. Cloudy? CLOUDY? 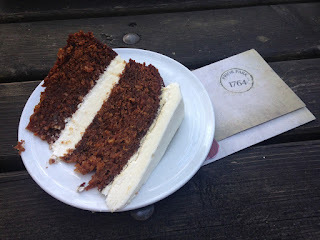 I love the city of Bath but let's be honest; it has not been kind to the National Trust scone blogger. I set off for Prior Park Landscape Garden today knowing that this mission was make or break. If I found a phenomenal scone and a fascinating history at Prior I would be willing to forget the disastrous day of no scones and limited access at Bath Assembly Rooms. I would also overlook the fact that I couldn't even FIND Bath Skyline (although I will accept some culpability there on account of my inability to read a map). I have to admit, though, that I wasn't very hopeful. In my experience, landscape gardens are great for a nice walk but they don't tend to deliver the pet baboons called Bimbo or wives eloping with curates to Portugal that you get with some of the great NT houses. However, I did some reading and discovered that Prior Park was created by a man called Ralph Allen. I had never heard of Ralph Allen. I learned that he made his fortune by improving the postal system and buying some quarries, so I bought a book about him and prepared to be a bit bored. But Ralph Allen, Builder of Bath by Diana Winsor wasn't boring at all. In fact, I got so caught up in reading it that when I caught my first glimpse of the mansion I thought "that's Ralph's house!! ", as if we were best pals and he himself was waiting for me with tea and scones and £1000 that he wanted to donate to my next novel or political campaign. 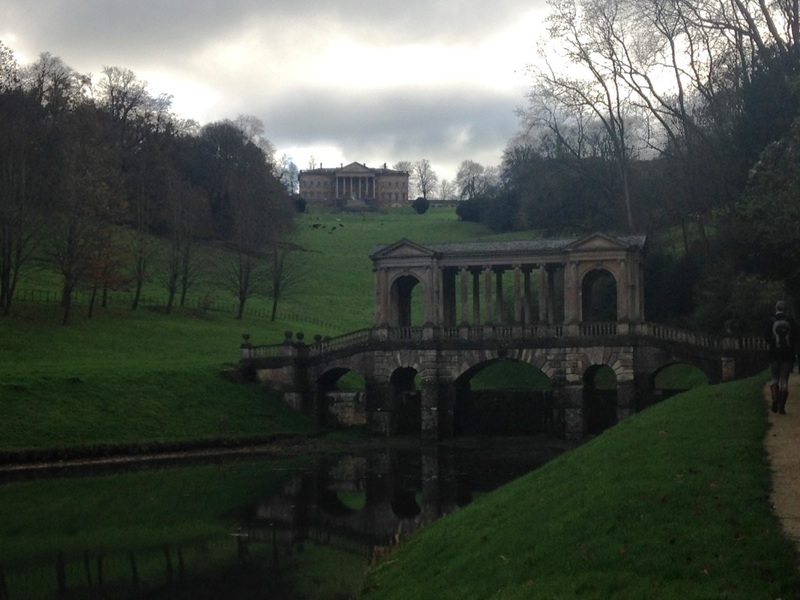 Anyway, here are a few fascinating facts about Ralph and Prior Park. Ralph was born in Cornwall where it is believed he helped his grandparents with their inn/post office. He moved to Bath and soon scooted up the ladder to become Deputy Postmaster. It sounds like he was an honest sort who stamped out (ha!) any dodgy dealings and greatly improved the profitability of the post service. He retained the contract for over 40 years. Ralph believed in the qualities of Bath stone as excellent building material and was soon buying up the local quarries. He befriended John Wood the Elder, who had visions of turning Bath into the beautiful city that we recognise today. They worked together to create Prior Park as a showcase for Bath stone, although it sounds like they fell out a fair bit. The mansion is now a school so you can only admire it from afar. His first attraction was a bit of an accident. He commissioned a type of railway to bring his stone down to the canal so it could be shipped to London. People were fascinated by the mechanism, coming from miles around to marvel at it. 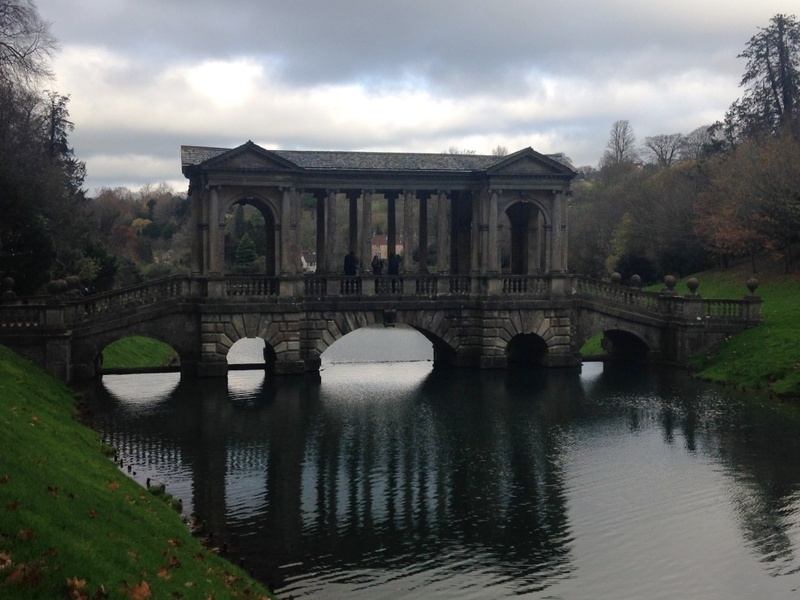 In Prior Park itself he built a Palladian bridge that was soon attracting sightseers, as it still is today - it's one of only four Palladian bridges in the world (one is at Stowe, one at Wilton House, one in St Petersburg). Ralph loved Bath and was its mayor from 1742-1769, but he wasn't very keen on all the gambling and frivolity that went on. He was far more interested in literature and was friends with many writers - Henry Fielding based the character of Squire Allworthy in his novel Tom Jones on Ralph. 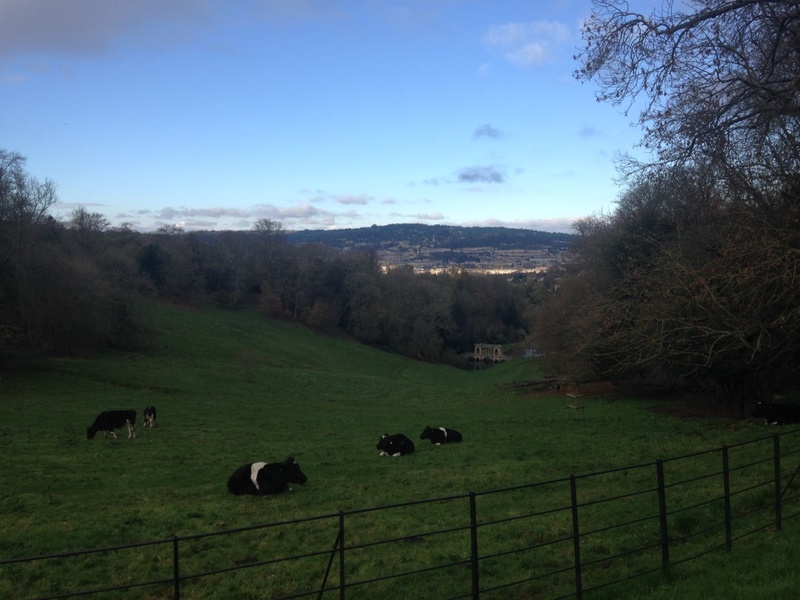 The view of Bath from Prior Park. It's a bit wasted on the cows. But was Prior Park able to deliver on the all-important scone front? The short answer is no. However, the 'tea shed' was an outdoor cafe and it had a) carrot cake and b) a brazier for warmth, so I decided not to be a misery about it and enjoy the lovely view. But it doesn't alter the fact that I've now had two scone fails on the trot - last week's mission to Woolsthorpe Manor only delivered apple shortcake. This unnerves me. I will have to sack myself if it goes on much longer. 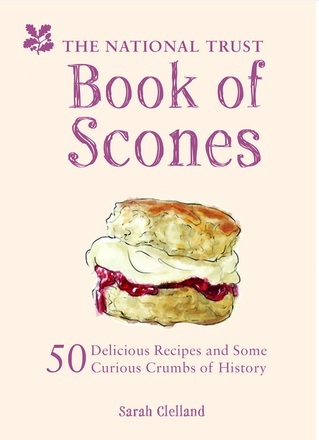 Luckily the Scone Sidekick has agreed to join me on what I hope will be a sconestravaganza next week, so stay tuned. If ever there was a book title to make me run for the hills screaming "PLEASE GOD NO" it is The Mathematical Principles of Natural Philosophy. 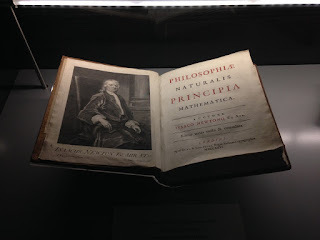 In fact, if I hadn't seen said book at Woolsthorpe Manor, birthplace of Sir Isaac Newton, and if I hadn't been reminded that he was a fan of things like gravity and light, then I wouldn't even have been able to guess what mathematical principles of natural philosophy were. BUT! Before you start writing a letter to Tim Berners-Lee asking him to uninvent the Internet so that people like me can't be so completely stupid in public, I must stress that science has never really been my thing. 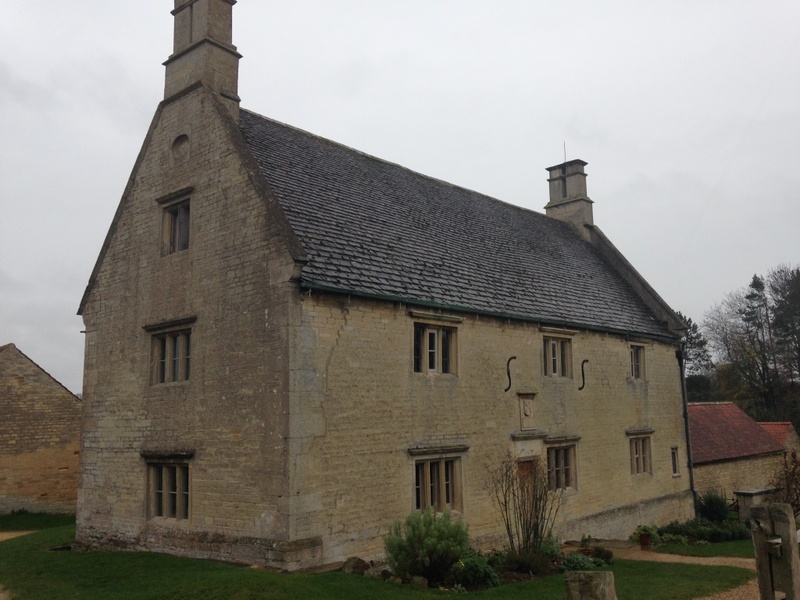 Sir Isaac Newton, one of the greatest scientists of all time, was born at Woolsthorpe Manor near Grantham on Christmas Day in 1642. Our tour guide explained that Isaac's father, who was lord of the manor, died before Isaac was born. His mother then spent a few pregnant months wondering what was going to happen to her: if she had a boy, he would also eventually become lord of the manor and they could remain at Woolsthorpe. If she had a girl, the two of them would be packed off back to her relatives and the house would pass to someone else. So she was presumably extra delighted to see Isaac, although it's a miracle that he survived, having been born premature during a very cold winter. Anyway. The Woolsthorpe connection doesn't end there. Isaac was a precocious lad who failed to show the slightest interest in farming, so he was sent off to school followed by university. When the Plague struck Cambridge in 1665, Isaac returned to Woolsthorpe and did some of his greatest work at the manor. It's very easy to align one person with one discovery - Alexander Fleming and penicillin for example, or the extremely useful one that has stuck in my brain for 25 years since my History GCSE; Joseph Glidden and barbed wire. But Sir Isaac Newton's thinking went far beyond the subject of gravity, which is what I always connect him with. When he returned to Woolsthorpe in 1665, he spent his 'annus mirabilis' producing some of his most important scientific thinking, covering motion, light and gravitation. He didn't publish his theories until 1687, when Philosophiæ Naturalis Principia Mathematica appeared in print. It contained three books; the first and second books explore his laws of motion. The third contains his theory of gravity. His apple tree is still there though, right outside the house. It fell over in 1816 but re-rooted and continues to grow. It now has offshoots all over the world, ensuring that Newton's legacy lives on at MIT and other places of learning. Bizarrely, the tree doesn't get a mention in the guide book. every single person that visits Woolsthorpe does this. 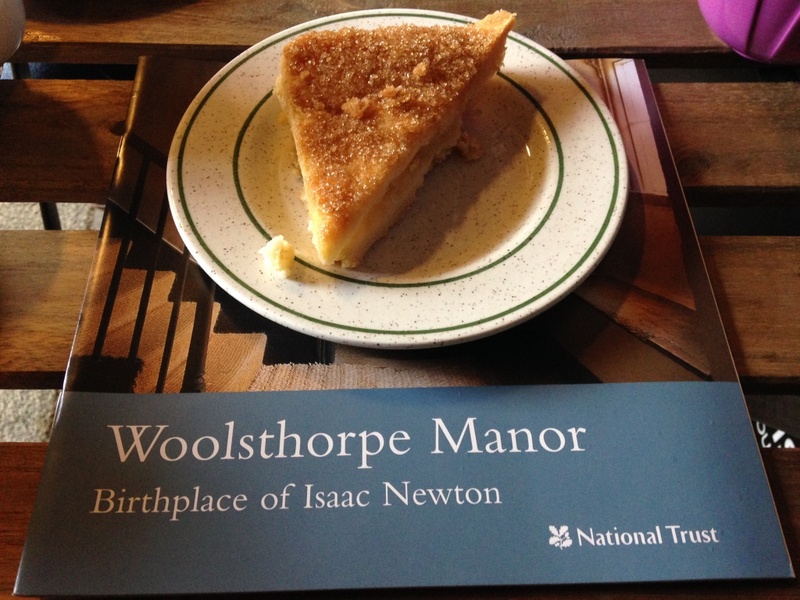 Woolsthorpe Manor was the 40th National Trust scone mission of 2015. The year started badly - there were no scones at Leith Hill in January, followed by a similar failure at Aberdulais Tin Works. But since then I've struck scone gold everywhere. Until today. The tea room at Woolsthorpe Manor is very small - they should definitely try and extend it a bit, as it was full the whole time we were there. 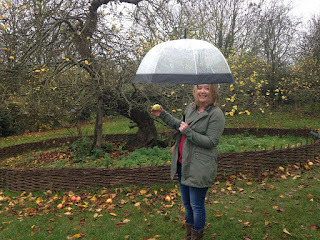 This was November, so God knows how they cope in poor weather in June and July. The nice lady told me that they were waiting for some scones, but it wasn't clear whether she meant waiting five minutes or until next week so I opted for the last two slices of apple shortcake. And let's face it, apple shortcake is highly appropriate for Sir Isaac's birthplace, AND it was delicious, so I'll overlook the scone scarcity. Anyway. I highly recommend Woolsthorpe - it's a lovely spot with an impressive history that is very well told.